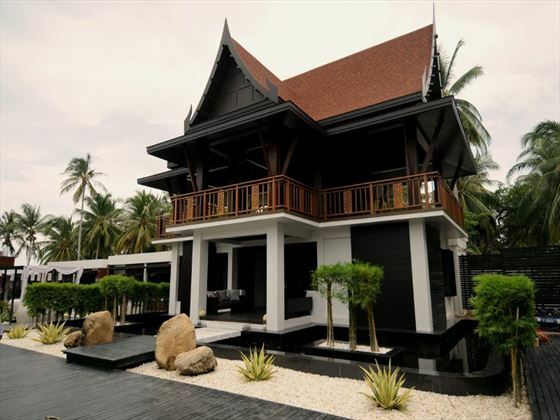 Ideally located on the idyllic Nadan Beach in rural Khanom, Aava Resort & Spa provides complete tranquillity and decadence. 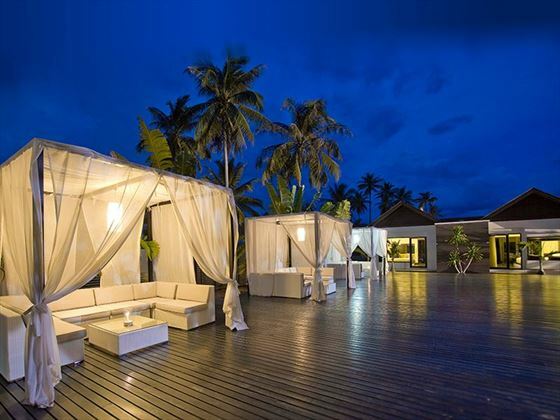 Contemporary and minimalist in design, the resort emits a stylish yet peaceful ambience. The staff here are friendly and attentive, ensuring that every moment of your stay is relaxed and exceeds your expectations. An integral part of the resort, the spa is a must-visit during your stay – focusing on traditional Thai techniques, it’s the ultimate in relaxation. 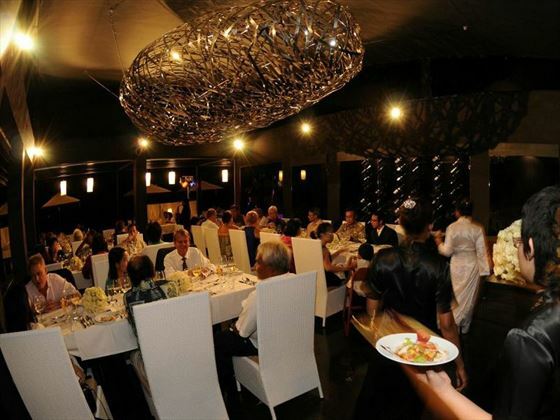 Aalto, the resort’s signature restaurant, serves up a selection of decadent and varied dishes influenced by traditional Thai and European flavours, as well as freshly-baked pastries, breads and pizzas. 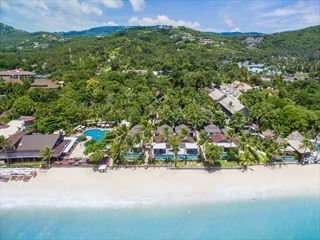 The resort is ideal for family getaways too, with family-friendly villas, a kids club and exercise activities designed for younger guests available. 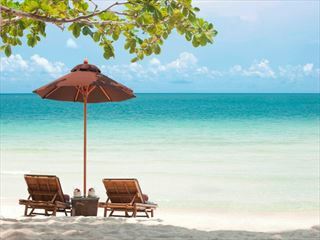 If you want to explore, head to Samui, on a pink dolphin-spotting tour or the Khao Wang Thong caves. 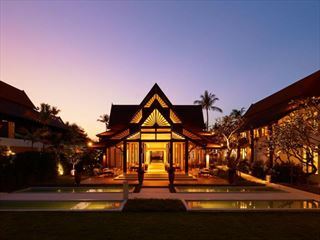 Further reading: Aava Resort & Spa is featured in our guide to the top 10 romantic getaways in Thailand. 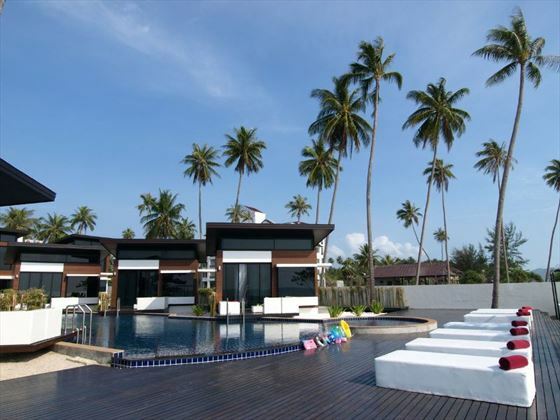 Offering incredibly scenic views, Aava Resort & Spa is situated on the pristine Nadan Beach in Khanom, South East Thailand; an area renowned for its rare pink dolphins and unspoiled landscapes. 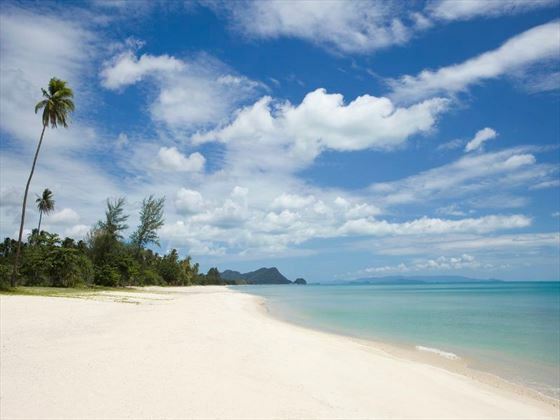 Lesser-known than other areas in Thailand, the hidden paradise of Khanom offers a unique opportunity to explore authentic Thai culture, with an easy-going and uncrowded atmosphere. Hop on to a motorcycle to explore the palm-lined tracks and beautiful sights of the area, from traditional farmer houses and roaming wildlife to secluded beach coves and waterfalls. Wander up to the local market held twice a week to discover exotic stalls selling fresh vegetables and tropical fish, this is also a great spot to enjoy a coffee and mingle with the locals. Adventure through the waters and attractions of Khanom on a relaxing boat trip, where you may be treated to rare sightings of pink dolphins. 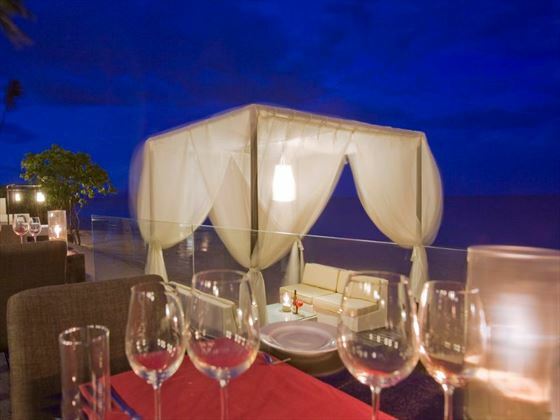 • The resort is easily accessible from the main airports in the area. We can arrange transfers between Aava and Phuket, Krabi, Koh Samui, Suratthani or Nakhon Si Thammarat airports. 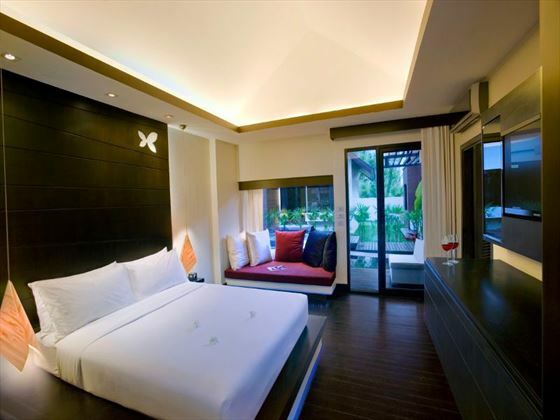 The resort provides four different room types, each boasting stylish and contemporary décor. A fun kids club with two fully trained babysitters on-site to take care of babies and children of all ages. Kids and teens’ Muay Thai boxing classes are available twice a week. There will be minor building works next door to the Aava Resort until the end of 2018. Construction is not visible from the resort and work will finish at 5pm daily with no work on Sunday's.